Typically I get blog posts done the night before because I never have the time to do them in the morning, but being on vacation has my schedule all over the place. It really doesn't even feel like a Friday to me either because I just let my brain forget all of my responsibilities this past week (kind of) and it was 100% needed! Today is our last day of vacation, sadly, and we're getting ready to head out to the beach to enjoy some sun before it rains - We're hoping it just passes by! So todays post will be short and sweet. When this dress first came to Express I would eye it up like no other, lol. Like my wardrobe NEEDED it but I've been trying to cut down on how much money I spend on clothes so each time I'd just give it a sad face and walk by the store. But a few months later I found it sitting on the clearance rack, in my size, for 60-70% off and if that wasn't a sign that I needed that dress than I don't know what was 😂 I've loved wearing this dress this summer - It's such a cute and feminine addition to your wardrobe. 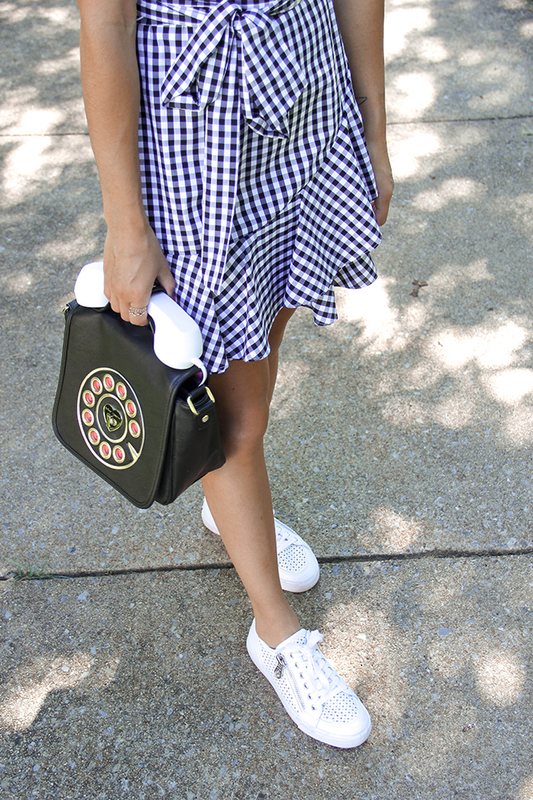 My personal favorite way to wear it has been with a pair of sneakers because I think they just fit the look, but I've also worn this to work with sandals and loved it just as much. 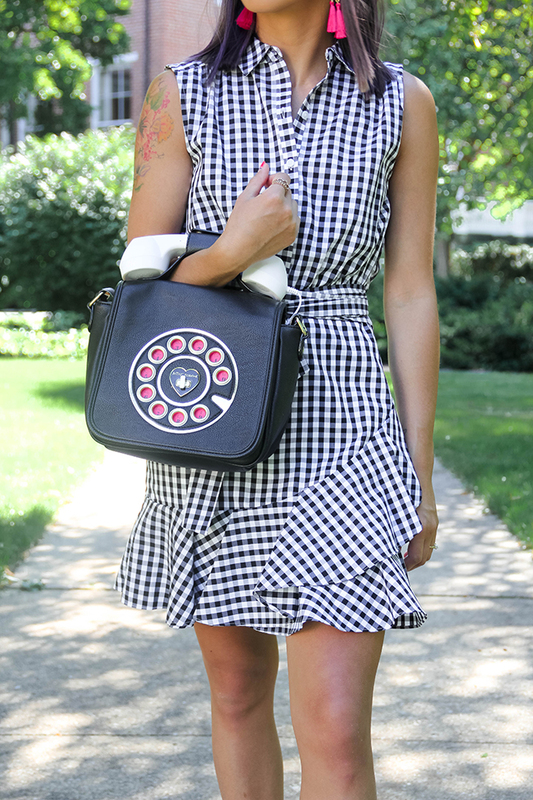 I obviously had to add some fun detail with my Betsey Johnson phone purse!